Hon. Lisel Alamilla, Minister of Forestry, Fisheries and Sustainable Development, is one of the recipients of the 2012 Whitley Foundation Awards. 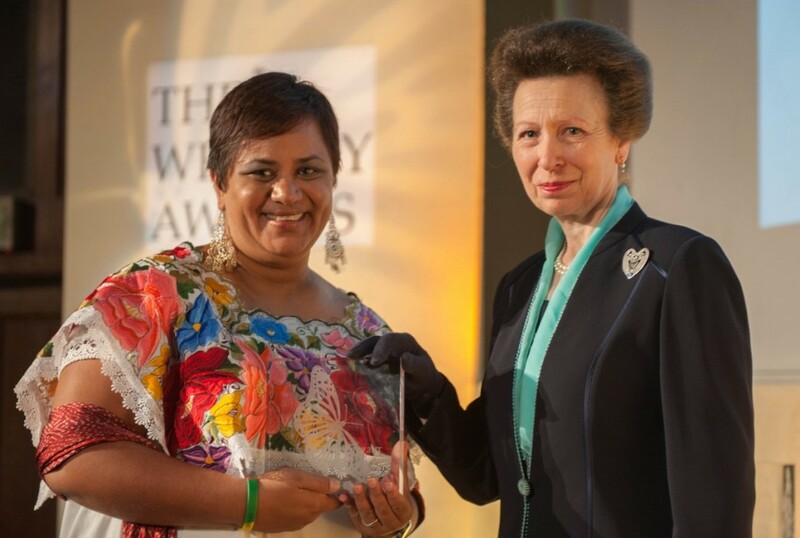 She received the Whitley Fund for Nature award from the Princess Royal at the 2012 Whitley Awards Ceremony, held on the 9th of May at The Royal Geographical Society in London. Alamilla joins six other nominees from countries like Indonesia, Madagascar, Peru, and Costa Rica in competing for project funding worth £30,000 (US$48,480). The honour recognises the Minister's work to unite and equip the people who live in the Maya Golden Landscape to match development pressures, including population growth, agricultural change and increased demand for natural resources, with protection for the area's world-class scenery, wildlife and traditions. The Whitely Foundation granted her the funding, donated by the William Brake Charitable Trust, which she has stated to hand over to the Ya'axche Conservation Trust here in Belize. The San Pedro Sun would like to congratulate Minister Alamilla on this award and to thank her for all the hard work and dedication that she has given to Belize and its people. We are immensely proud of her and this wonderful achievement. I really take after my father; he was a champion for social justice. Six week ago I learnt that when my dad dropped me off for my first day of preschool he told the teacher "take good care of her as you have in your care a future minister of government". Was this coincidental or did he see something in me? So, without consciously planning it I became an activist seeking social justice. And today I firmly believe that we cannot achieve conservation goals without creating a society that is based on the principles of equality and solidarity. A society that understands and values human rights.A society that recognizes the dignity of every human being.Ya'axche' Conservation Trust believes in this, practices it and is passionate about it. And I ask all of you to learn from what we have done in Belize... if we can do it, so can you.